Yay for stolen productive moments! Got a little encaustic work done on lunch today. Yesterday, I attached a piece of specialty paper to one of my panels. Today, I trimmed it and ironed the paper a little further to make sure all the air bubbles are gone & that it adheres properly. I had a fun day yesterday crushing up some damar resin, filtering it, and mixing a fresh blend with beeswax pellets. 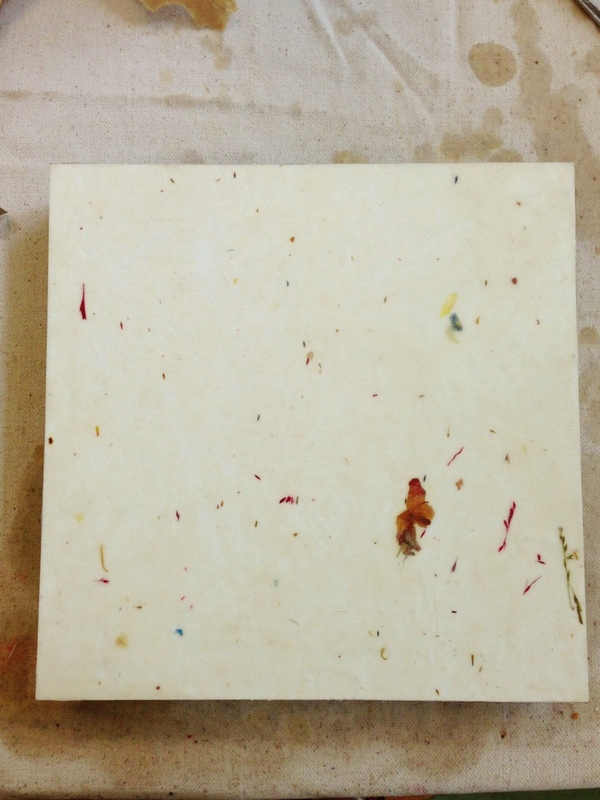 I prepped a few panels to different levels of completion and demoed some of the encaustic techniques I’ve learned to a couple of my fellow art friends, Jenn & Eliana. Great fun!